The festive period is upon us once again. As are the age-old problems of finding the right gifts for those special people in our lives that say ‘I care about you’ and, ‘I’ve spent more than a tenner’ at the same time. Otherwise known as a travel flask, this is an essential for any doctor working long hours. Travelling between hospital wards, patient’s homes and meetings can often be tiring, and caffeine is an essential in maintaining energy levels. With strict and necessary hospital regulations also disallowing unsealed drinks containers in their premises, a sealed travel thermos is a perfect, and obvious gift idea for a doctor! 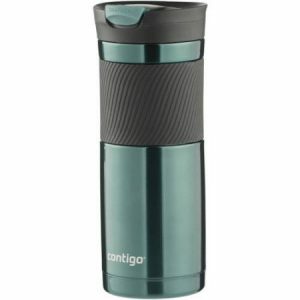 Why not pair your stylish thermos with some good quality coffee? Combining gimmicks, humour and medicine into joke-gifts is a prescription for success. From the classic ‘Trust me, I’m a doctor’ t-shirt, to urine sample sweets, you can’t go wrong if your gift brings a smile to someone’s face. Of course, you know the person that you’re buying for best, so showing a little discretion when buying these sorts of presents wouldn’t go amiss. However, getting an ‘At Your Cervix’ coffee mug for a gynaecologist can only win you brownie points. Some of our favourite ideas include: X-ray oven gloves, apron with internal organs design. For more ‘humerus’ ideas, visit here. A doctor’s office or waiting room will often be host to many different people. A lot of time will be spent by patients staring into space as they wait for their appointments. So give them something great to stare at! Doctors are always looking to create comfortable environments for the good of those they are treating. Essential to establishing this kind of vibe is the décor. With shabby chic, retro and vintage styles making their way back into the mainstream, medical-themed wall decorations and office furnishings are the ideal gifts for doctors this Christmas. Some ideas that we particularly like: A chalkboard diagram of an old stethoscope. Vintage, anatomical drawings. X-ray pillows. Tree lungs poster – a happy alternative to the big information posters on the human muscular system, for instance. In this digital age, people often organise themselves electronically. However, keeping your desk organised is an issue that no amount of digital calendars can fix. Desk tidies are underrated bits of kit! They can hold pens, papers, post-it-notes, test-tubes, you name it. And for doctors, being tidy and prepared is key. Or, sticking with the vintage theme, how about a retro first aid box, turned paper file to help them creatively declutter? Or even a wireless keyboard and mouse for a techy treat! Personalisation is a great way of showing that real thought and care has gone into picking a gift. For a doctor, a personalised pen or notebook would be perfect – they would get a lot of use; writing prescriptions, notes and recommendations. And with the New Year fast approaching, a 2019 calendar notebook would be a hugely useful present to unwrap. Our personalised suggestions: ink pen, notebook, planner.